Bonjour lecteurs! A bit sad that you have some time off for the Easter weekend and it is miserable outside? I know the feeling! I am looking at the window while typing those lines and I wonder when the sun will come and stay for good! Don’t worry if the weather spoiled the fun! Baba Fashionista with Little Chickie will present you with a cute boutique we already wrote about and you are in for a chance to win a £25 voucher with the brand! So let’s have a good time for a special weekend! Little Chickie is a family-run, independent baby and toddler online clothing boutique which offers some cute clothes as well as very adorable baby gifts! Do you remember this label? It was the first ever brand to take part in Baba Fashionista! We have been presenting you with sweet shops like Little Chickie for over a year now and collaborating again with the first ever shop we featured means a lot to us! Its clothes are modern and stylish yet classic, cute and child-like. Indeed, the label sources some designs from new and established British and worldwide brands. The most exciting? Little Chickie always tries to find something a bit special and are also selling Scandinavian, French, Australian and American brands! Hurrah for fashion! This time, the brand sent us some Blade and Rose Leggings. 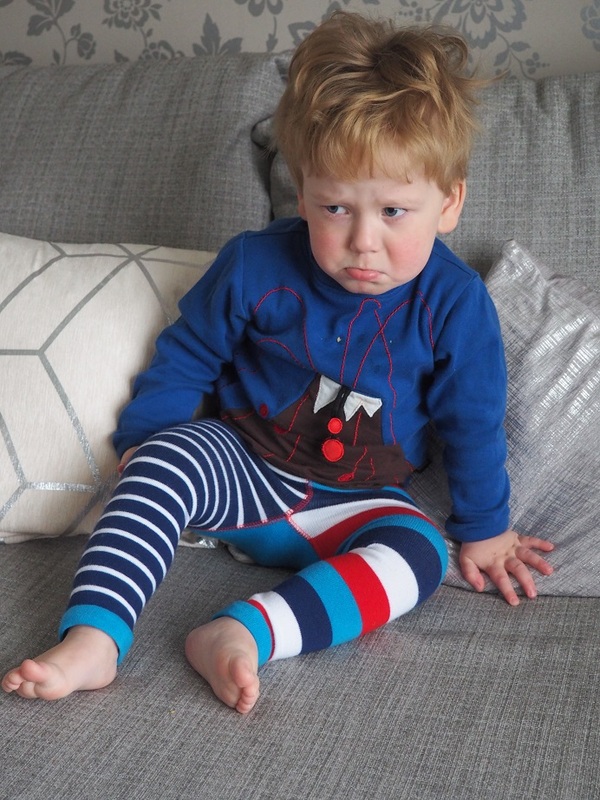 Famous for its colourful leggings, you must have come across this British brand before! Have a look at our cool new trousers! Blade and Rose always features some cool stripes and it is totally fine by me! The pirate is well cheeky in here so parfait for Baba. A cheeky bum in action! Plus blue is always a hit on my little boy. 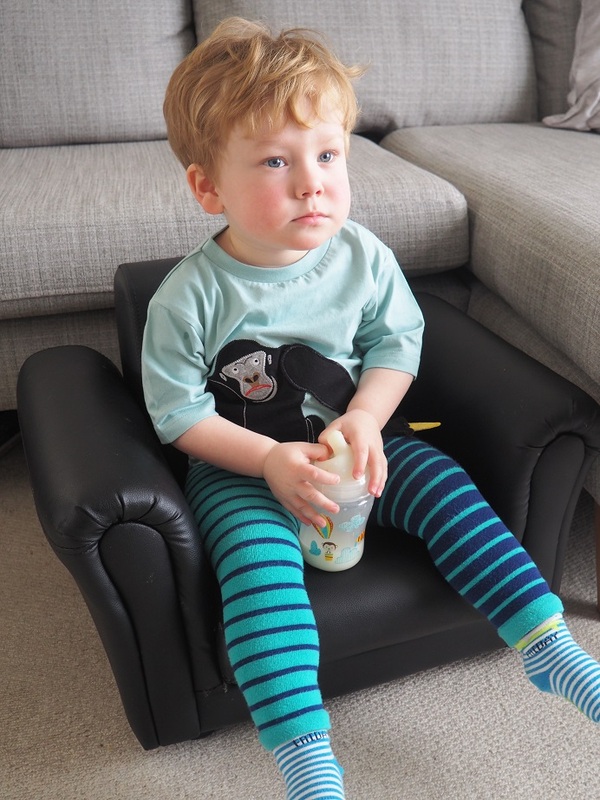 Easy to put on for an effortless look, it makes Baba look cool and trendy while at home but also at our local soft play area! I will not share the ‘after’ pictures with you, but it is clear that the Frenchie baby had a blast while wearing those leggings! Now he is off to do my laundry, just because! And not only because of the fun design of those leggings! Those ones are a hit too! We love this gorgeous new design from the award-winning Blade & Rose. The navy and bright jade colours go so well together and what is there not to like with stripes! I think my fave colour has to be the bright jade as it goes so well with a top Baba has. How cool is the whole outfit with those cute leggings?! This time, a little sheep invited itself to the party and we think that it is super cute! We have a new friend in the house! 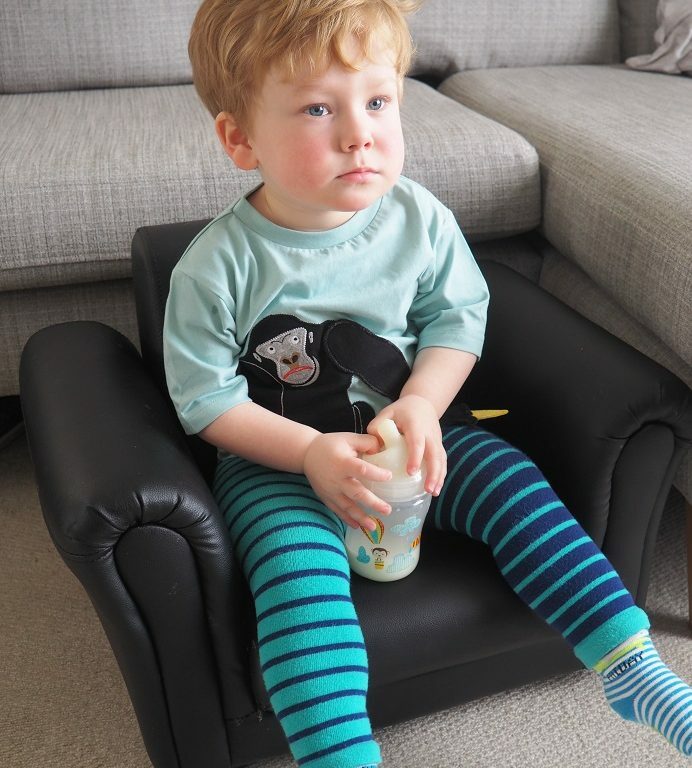 Made from 75% Combed Cotton, 20% Nylon and 5% Spandex, the materials make it so easy to put on and super comfy too! Plus the leggings are aussi super soft and comfortable to wear. We always have a fresh pair in our bag as it is so easy to wear. Plus it gives Baba a funky look! Oui! Baba has a London bus on his bum! How fun is that! Plus the combination of thin and thick stripy legs make these leggings really stand out. One of the sides actually reminds me of the French flag with the choice of couleurs. 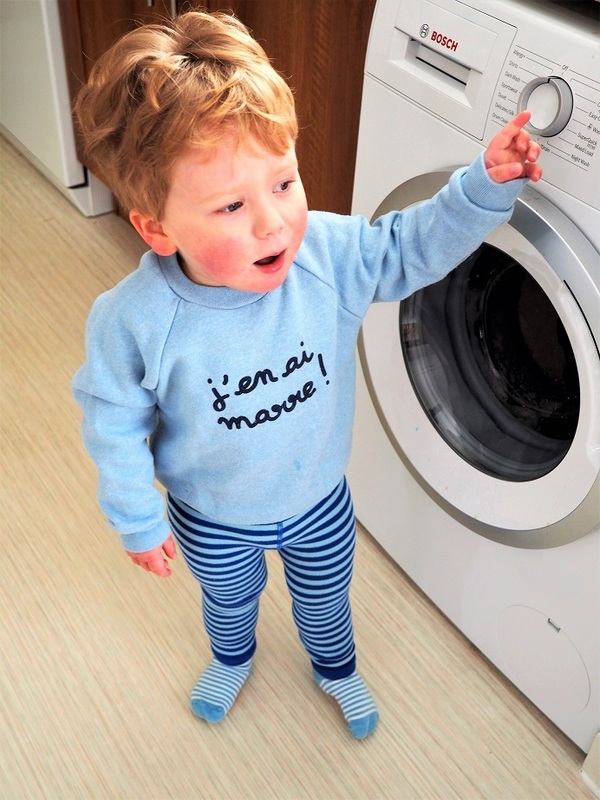 So after all, there is still some Frenchie inspiration in this garment! 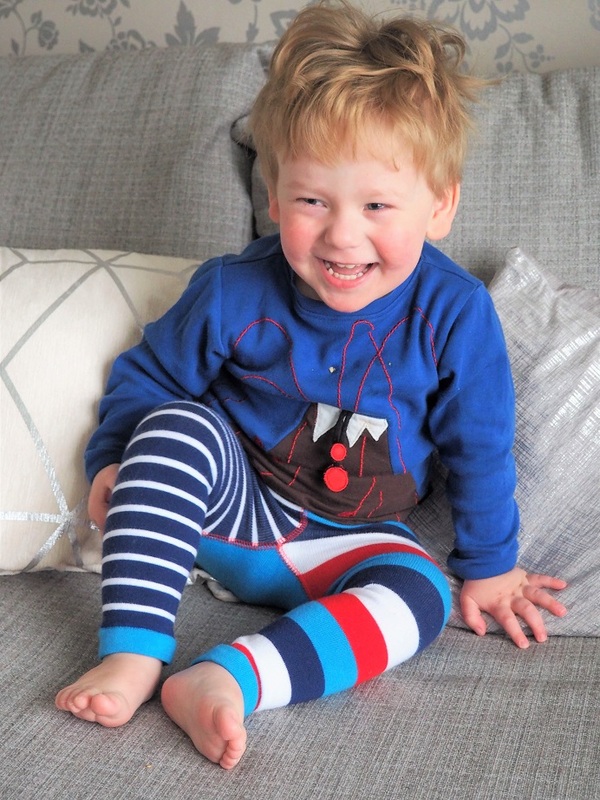 Fun and pretty, those leggings are sublime and my Baba becomes an international fashion star! I can’t resist et vous? Once more, Little Chickie proved that it is a boutique offering exciting products from amazing brands in Britain and worldwide! 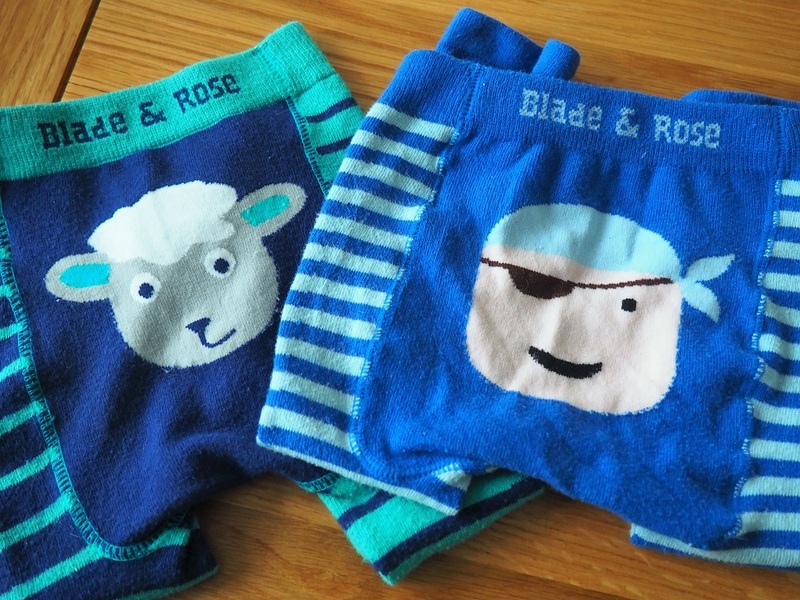 Blade and Rose is a must-have for any babies but not only! We like its funky colours and prints and Little Chickie sent us some cute outfits we will be using over and over again! Which one should we wear today? Pourquoi? Because Baba is super comfy while wearing them. And he looks so trendy! 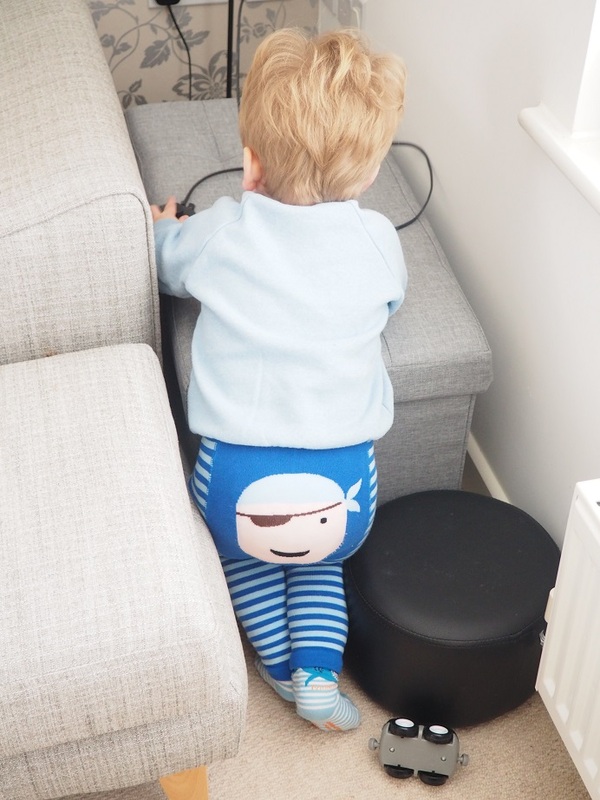 And we love staring at his cute little bum: bus, pirate of sheep… All the brand’s hip designs make us stare at Baba’s bottoms! Little Chickie features some cute and fashionable labels on their website so have a look now and see what you can get for your little ones! And to make the experience even better, we teamed up with this chic boutique for you to enter a fab Easter Giveaway! Bunnies, chocolates and chicks… That’s what it’s all about at Easter! 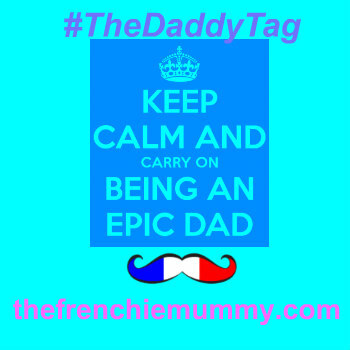 And we could not celebrate it without another fab Frenchie Giveaway! Fancying some cute clothes for your little ones? Enter now our Easter giveaway to win a £25 voucher to spend with Little Chickie! Enter now via Gleam and Joyeuse Pâques! This giveaway starts on Monday 2nd April at 5.30 pm and ends at midnight on the 2nd May. Merci for reading Baba Fashionista with Little Chickie. We are so excited to have this fab boutique on the blog again! Disclosure: We received those leggings for free. They are so cute. I love the little lamb. These clothes are beautiful ? I love trousers with little character faces on the bum. They look so cute on my little boy and yours too! I love the leggings they are so cute and unique! 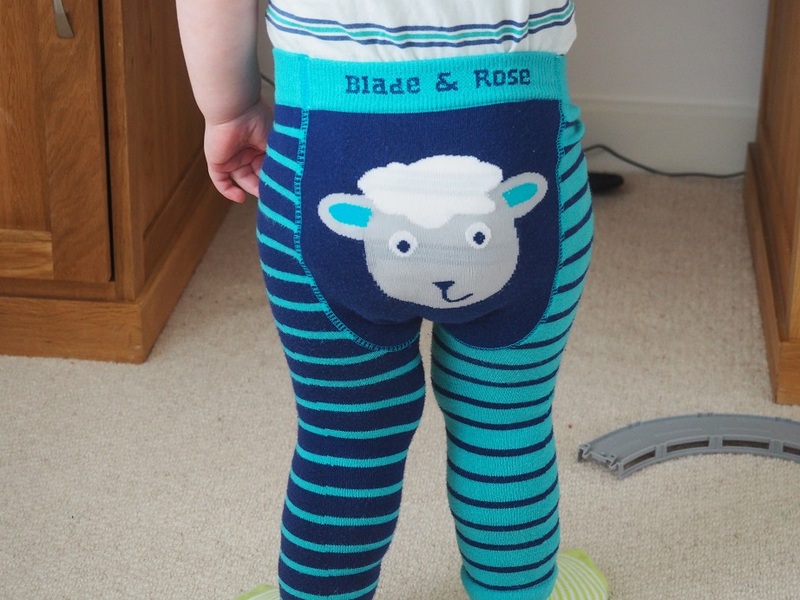 I love these, my first baby wore them and I plan on buying some more for number 2 when they arrive later this year. So comfy! This looks a lovely clothing range. Such cute designs! Thank you for the giveaway. These clothes are just so pretty ? So many cute items to choose from, thanks for the chance to win! I like the 1st Birthday T Shirt in Red White and Blue. I love how unisex their designs are, and the bright bold colours! Those leggings are sooooo cute!!! Previous Previous post: Living Arrows 14/53 – Baba Loves His Scooter!